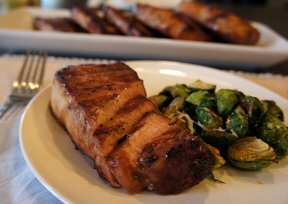 This simple marinade, which has only a few ingredients, really livens up ordinary pork chops with its sweet honey and balsamic flavor, yet it doesn't overpower the natural flavor of the grilled meat. 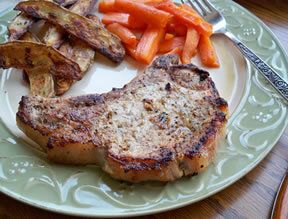 Place the pork chops in a shallow dish or a resealable plastic bag. Stir together the vinegar, oil, honey, garlic, salt, pepper. Pour this mixture over the pork chops. 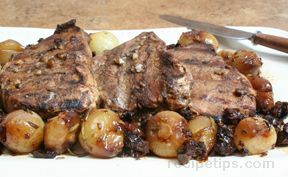 Place in the refrigerator and allow to marinate for 1 hour. "This a good starter marinade for our tastes. We prefer more zing and will add some heat and possibly lime next time.Love playing around with such stuff!" 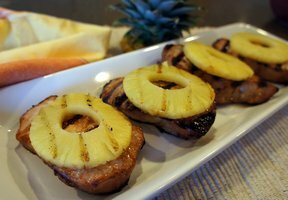 "Wow did this jazz up our pork chops. The marinade was easy and was all basically things we had around the kitchen. We marinaded for a couple hours in the morning and took these to a BBQ for lunch. We got rave reviews from our lunch guests - and ourselves! Considering the ease of putting this together we are going to use this again - can't wait to try the marinade on chicken!"